The tradition of the jazz duo has no better living representatives than Michael Zilber and John Stowell. This duo, currently putting the final touches on their fourth album (Origin Records) are touring the East Coast in November, 2017. Inquiries, and for press package, here. If solo concerts are like walking a tightrope without a net, then duos are like two walkers approaching each other from opposite ends of the tightrope. These two modern masters each convey staggering depth, balanced with beautiful creative tension. The Duo at Temple University's Boyer School of Music, in Philadelphia, on November 30th. 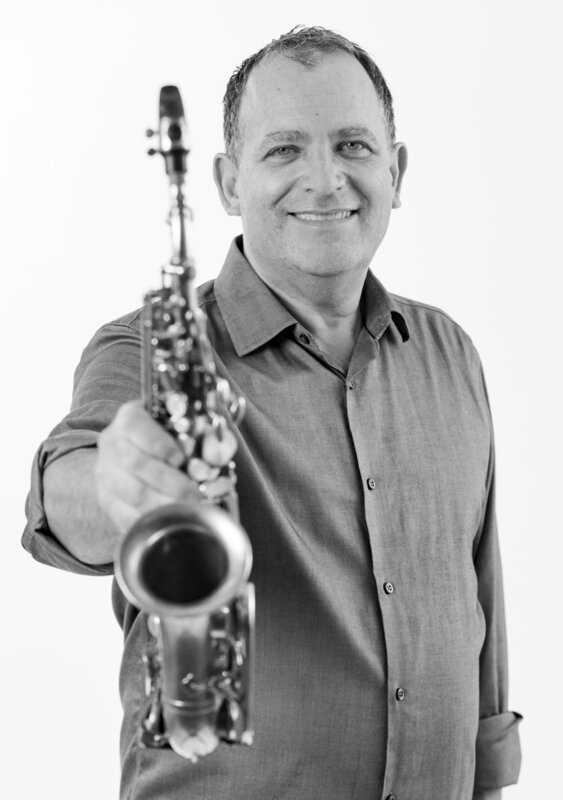 San Francisco Bay Area-based saxophonist and composer Michael Zilber is described by NEA Jazz Master David Liebman as “one of the best players and composers around anywhere. Period!” Mr. Zilber has ten albums to his name as a leader or co-leader. He has also performed or recorded with everyone from Liebman to Miroslav Vitous, Mike Clark, Dizzy Gillespie and Bob Berg. In early 2017, his “Originals for the Originals” on Origin Records was released. The album is a profound homage to seven sax masters - Michael Brecker, Sonny Rollins, Dave Liebman, Wayne Shorter, Joe Henderson, John Coltrane and Paul Desmond. The album features high-profile NYC-based sidemen Dave Kikoski, James Genus and Clarence Penn. John Stowell and David Friesen (bass) formed a duo in 1976 that recorded and toured prolifically for seven years, with performances in the United States, Canada, Europe and Australia. The duo continues to perform thirty years after their first meeting. Recording/Performance Credits: Milt Jackson, Lionel Hampton, Art Farmer, Conte Condoli, Herb Ellis, Bill Watrous, Mundell Lowe, George Cables, Billy Higgins, Billy Hart, Richie Cole, Paul Horn, Tom Harrrell, Don Thompson, Dave Liebman, and many others.